Janine Antoni, "Inhabit," Digital C-print, 2009, 116 1/2 x 72 in. Photo courtesy of the artist. It was 1995 when I was in my first stint as a Phillips Collection Museum Assistant as well as a full-time BFA student at the Corcoran College of Art and Design after 20 years as a newspaper and magazine journalist. I was sitting on the front steps of the Phillips house during a work break when I saw a tall, angular older man leaving the museum with his daughter. I identified myself, and he said, “Oh, yes” and spelled out my last name, smiling. Maxwell (1908-2000), a short-story writer, novelist, and fiction editor of The New Yorker magazine, was in Washington to receive the PEN/Malamud achievement award for short fiction. He also told me he particularly liked seeing Alberto Giacometti’s sculpture Monumental Head (1960) because the head looked just like him (but without the really long neck). 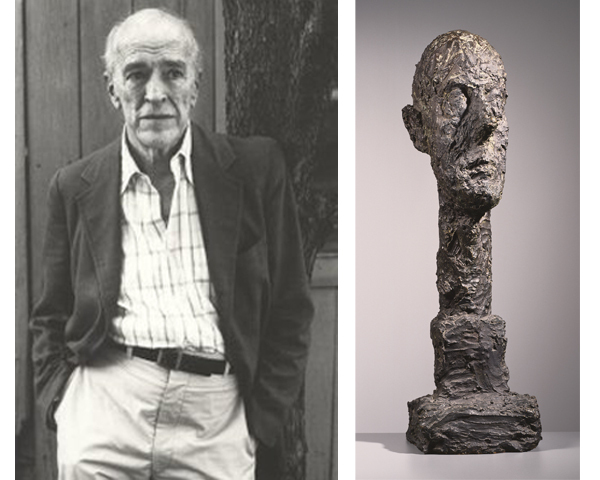 (left) William Maxwell (right) Alberto Giacometti, Monumental Head, 1960. Bronze, 37 1/2 x 11 x 10 in. The Phillips Collection, Washington, D.C. Acquired 1962. (Left) Paul Cézanne, Self-Portrait, c. 1898. Lithograph on paper, 21 53/4 x 18 in. The Phillips Collection, Washington, D.C. Acquired 1949. (Right) Camille Pissarro, Portrait of Cezanne (State I), 1874. Etching on paper, 20 1/2 x 14 in. The Phillips Collection, Washington, D.C. Acquired 1954 (?). 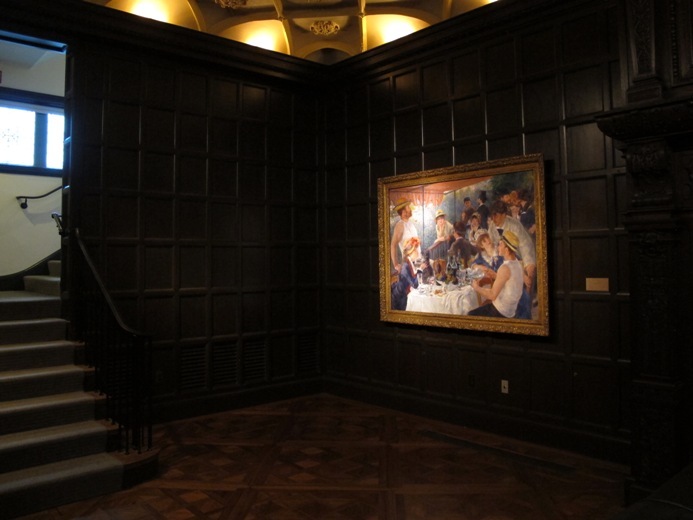 Last week, Renoir’s Luncheon of the Boating Party found a new home in the Music Room. The painting won’t stay in this gallery forever but will enjoy a nice respite here with the Tacks while various other installations throughout the museum are finalized over the coming weeks.